When a loved one passes away, his or her family is left with both a physical and emotional gauntlet that they must navigate in the weeks and months following. First and foremost, funeral arrangements, family gatherings, and all of the minutiae that must come immediately following a death. As families work through grief, they soon realize that a long, logistical, and difficult process is soon to follow. They must resolve the deceased’s estate, which often includes property that sometimes comes in an overwhelming condition. Any given home can carry a lifetime of memories and mementos, but it also contains much more. 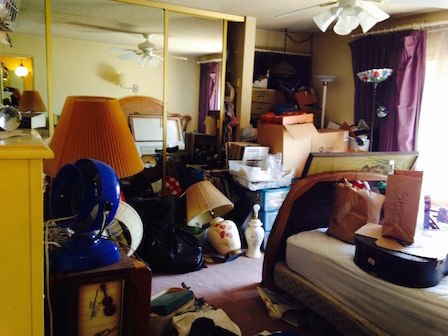 ​If you are facing this difficult situation and need help with clearing an estate, Clutter & Hoarding Pros is here to help. 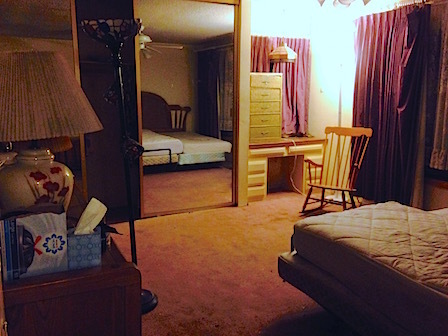 Not all estate cleanout services are the same, though many people often assume so. Some are geared toward preparing homes for estate sales, hoping to sell as much property as possible on behalf of the deceased’s family. While an option for some, it’s not for those facing properties in need of extensive remediation. Families in these situations are left with messes, clutter, or even hoards that need to be cleared, sometimes so large that they know they can’t do it on their own. That’s where we come in. ​Through our experience with hoarding estate cleaning services, our team knows that every property and family deserves to be treated with respect. We specialize in helping sort through clutter, as well as other issues, while preserving important items for the family. Likewise, we work to clean and restore properties to livable or sellable conditions. We can help regardless of the condition of the property. As your family works toward healing, let us help you with professional estate cleanout services. Call us at 844-662-5888 for a confidential consultation.